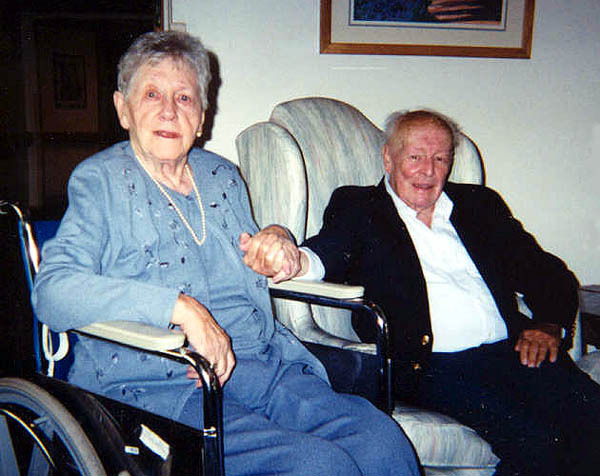 Sept 2001 - Plankowner EM3(SS) Albert Bradley 44-45 and his wife Sally celebrate their 60th wedding anniversary. Albert departed on Eternal Patrol in Feb 2004. (Coombs-Bradley) (c01c0474). 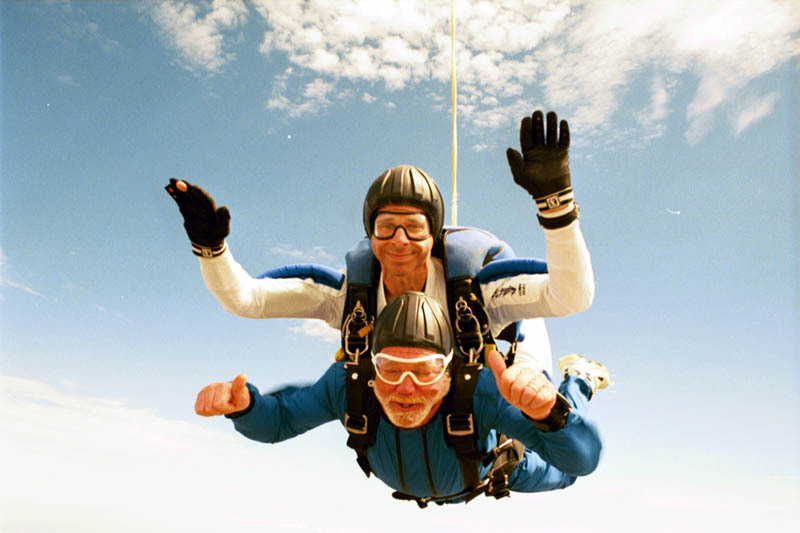 2005 - That's "Scuba Tom" Dean (68-70) on the bottom learning to skydive. 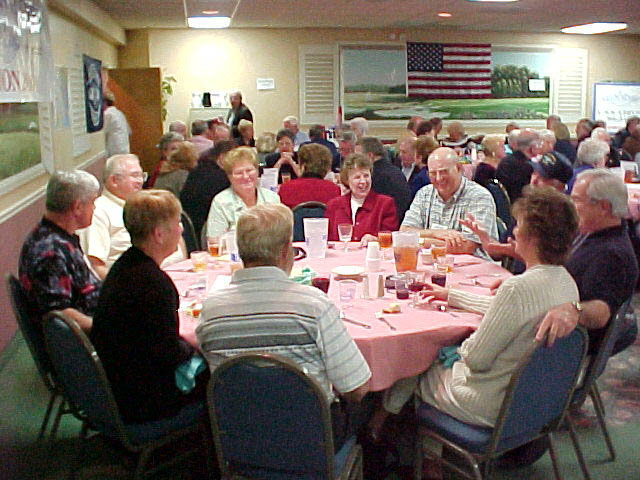 (Dean) (c05d0897). 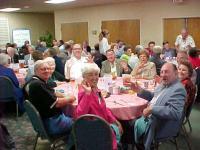 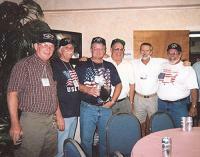 Reunion 2001 - Send the names to Stan (Brooks) (r01b0548). 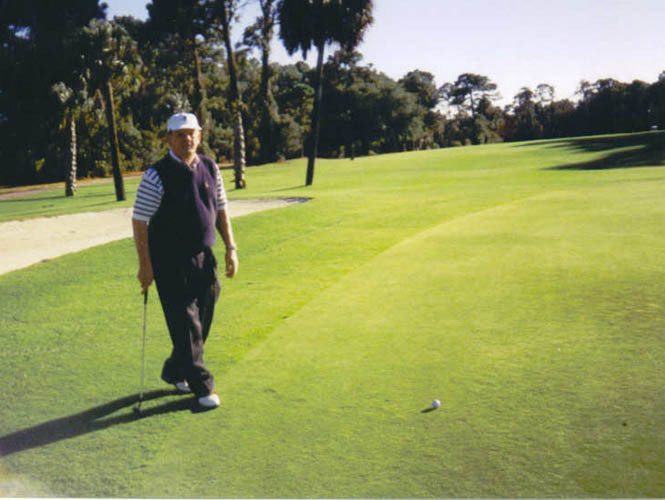 Reunion 2001 gave the duffers a chance to practice their game at Myrtle Beach - supply the names to Stan if you can. (Brooks) (r01b0578). 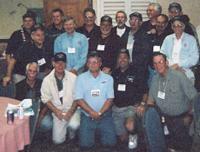 Reunion 2001 - The famous and infamous "Young Goat Boaters" the Chivo crew from 68-71 (Rainwater) (r01r0307). 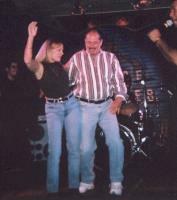 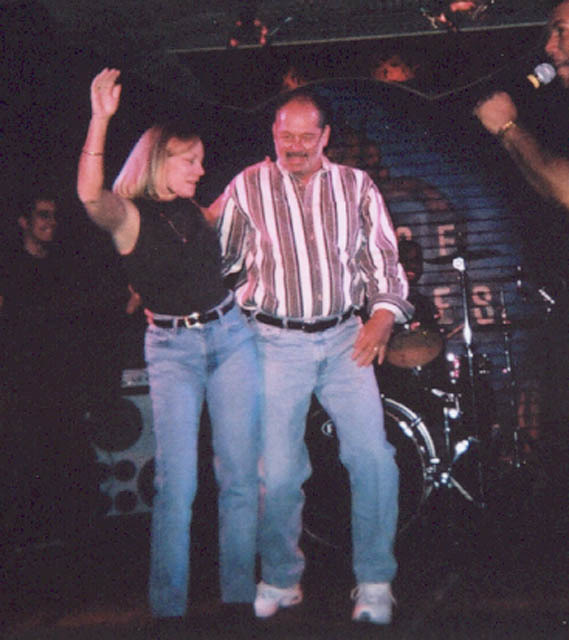 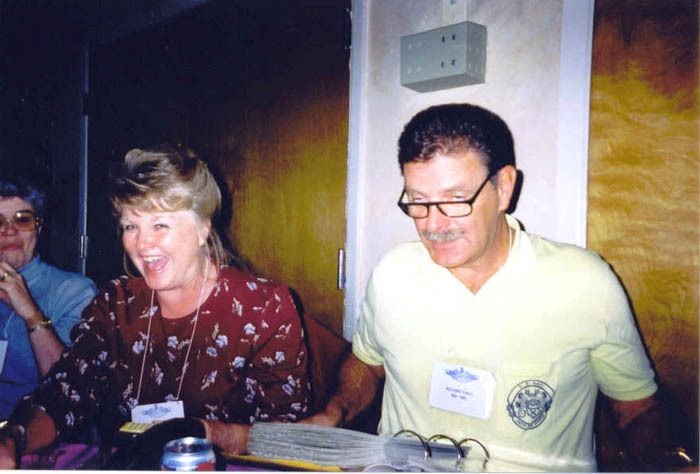 Reunion 2001 - Bunny Rainwater and Francis Daigle do the bump (Rainwater) (r01r0317). 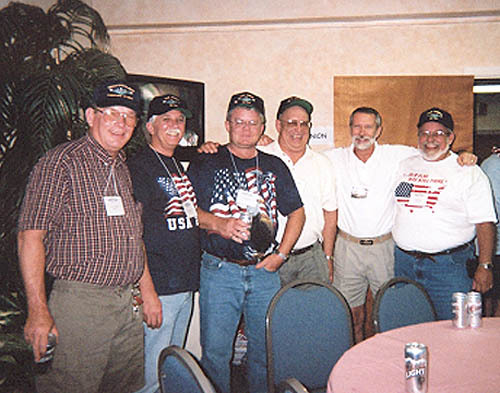 Reunion 2001 - Bill Mangum, Doug Plummer, Danny Wright, Chuck Downs, Mike Rainwater, and Stanley Stiles (part of the young goat boaters 68-71) (Rainwater) (r01r0323). 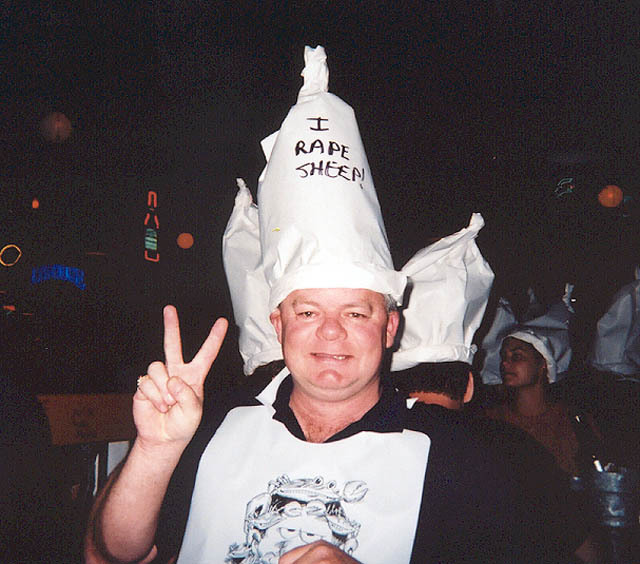 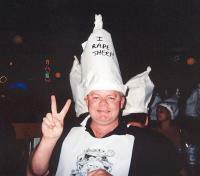 Reunion 2001 - Danny Wright (71) - Party Animal (Rainwater) (r01r0325). 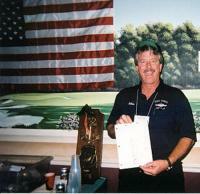 Reunion 2001 - "Jethro" Stoops gets his reunion qual card signed off (Rainwater) (r01r0330). 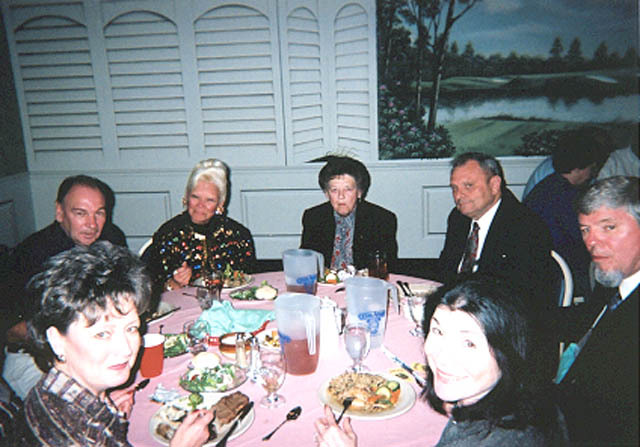 Reunion 2001 - After Battery table # 12 (Rainwater) (r01r0334). 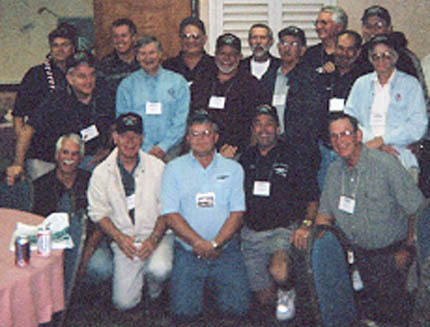 Reunion 2001 - After Battery Battery table # 8 (Rainwater) (r01r0337). 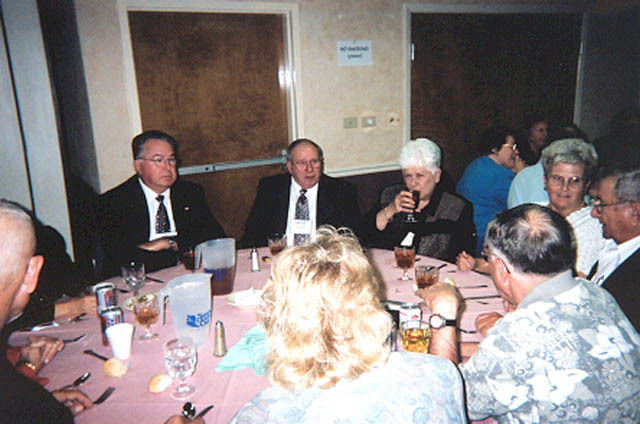 Reunion 2001 - After Battery Battery table # 4 (Rainwater) (r01r0340). 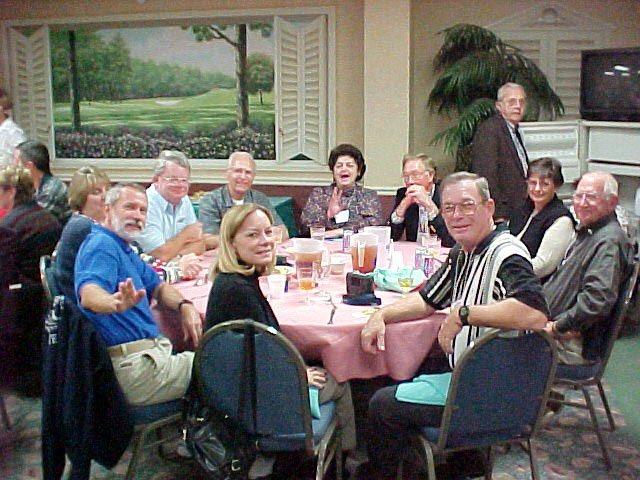 Reunion 01 - After Battery table #9 (help Stan with the names) (Stoops) (r01s0217). 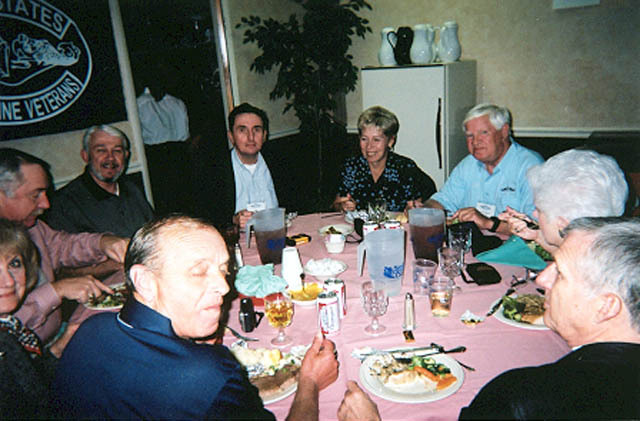 Reunion 01 - After Battery table #5 (help Stan with the names) (Stoops) (r01s0218). 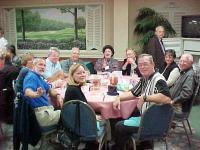 Reunion 01 - Forward Battery table #7 (help Stan with the names) (Stoops) (r01s0219).